The best place to start is with Kerry Smout-Day's Developer tutorials here. 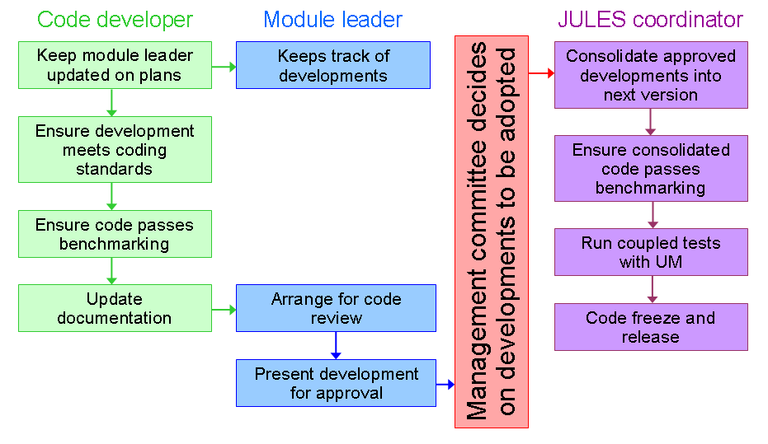 All proposed changes to the JULES code must follow the Working Practices for JULES development (broadly summarised by the flow diagram shown here) and the JULES Upgrade Procedures. JULES does not have a 'known errors' page for any of its versions: all known errors are on the JULES TRAC under individual tickets. If you are aware of any defect in the model, or have ideas for an enhancement, then please help the community by raising a ticket about it. For larger issues, you might want to start up a working group or PEG for the issue (Debbie Hemming organised a JULES PEGs or JPEGs discussion on 28th June 2017 in Exeter JPEG_Session_JULESmeeting_280617.docx). By the way, Kerry Smout-Day has done these great 'maps' of the JULES code and call paths of the individual subroutines (for JULESvn4.7). 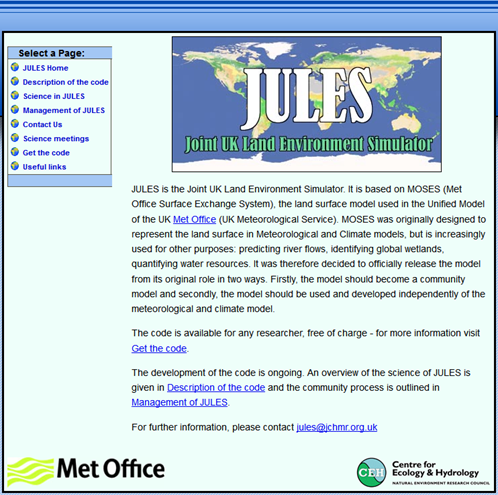 For the current version of JULES, please download from the MOSRS using FCM (see Getting Started) and see the JULES TRAC and release notes here. JULESvn0 frozen (essentially a combination of TRIFFID and MOSESv2.2). Note that in some sites the name "MOSES" is still used despite its replacement by "JULES" in 2005 and refers to the current version of the former MOSES code within the UM. For example, the 'JulesModel User Guide" from 2009 mentions "MOSESvn7.1", but this was really only a name for some MOSES code extracted from UM7.1 (i.e. basically JULESvn2.0 code). AUG-2001 MOSES v2.2 (Essery et al. 2001, HCTN_30.pdf; essentially this was v2.0 rewritten slightly to accommodate other changes in the Unified Model). See Valdes et al. (2017) for a detailed description of MOSES versions 1.0, 2.0, 2.1 and 2.2.